Bringing together a wide range of studies from twelve European countries, this book offers a state-of-the-art overview of the driving forces behind spatial diversity and social complexity inherent in second home expansion in all parts of the continent - from Scandinavia to the Mediterranean and from the British Isles to Russia - in the context of contemporary mobility patterns largely induced by tourism. As befits the overall conception of the book as a compendium of current second home research, planning and policy issues, the book endorses the following: multidisciplinary approaches to the second home phenomenon as an expression of the ’leisure class’ mobility and recreation-based lifestyles, as well as a constitutive element of post-productivist land-use patterns and landscape change; and socio-economic and territorial development planning and policy-related perspectives on social change and spatial re-organization provoked by the expansion of second home tourism in times of prosperity and crisis. 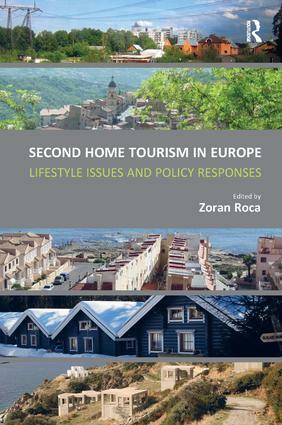 ’This book shows that second home tourism has become such an important sector of the economy that it is no longer possible to let it develop freely: it is the source of new forms of social deprivation; it generates residential economies that are particularly sensitive to the economic cycle; it often impairs beautiful landscapes and increases human pressure on natural environments. As a result, it is one of the major physical planning stakes of touristic areas’ (From the concluding essay by Paul Claval, Université de Paris I - Sorbonne, Paris, France).